We selected Tesla for our fleet because their superior commitment to environmental sustainability & efficiency aligns with Trellis core values. We aim to decrease our carbon footprint while maintaining support on the ground. At Trellis we stand strong in our commitment to protecting the planet and championing for increased sustainable energy. 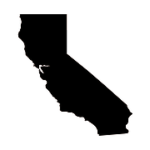 The Trellis Fleet is currently active in California and will be expanding to new regions soon including Colorado, Washington, Oregon, Nevada, & Canada. This on-site service is free for beta customers. We look forward to visiting your business and helping Trellis work for you. Sign up for a demo today. Catch us on the road and follow the journey on social media @trellisgrows! Copyright © 2018 Trellis Solutions, Inc.